Maroon 5 dropped a new music video today for their song, “Girls Like You,” featuring the one and only Cardi B. The video includes SO many inspiring women, from Ellen DeGeneres to Gal Gadot to Ashley Graham. And Cardi B has been KILLING IT in the style department lately, from her 2018 Met Gala ensemble that had her looking like she stepped out of a Catholic Renaissance painting to her recent outfits in her “I Like It” music video. Her lewks in the “I Like It” vid were designed by the Alejandro Collection, Michael Costello, and Marc Jacobs. We’ve yet to learn what designer is behind this already iconic “Girls Like You” mustard yellow suit, but you can bet we’re dying to find out. We have a hunch it was Kollin Carter, who not only styled her “I Like It” music video outfits but also her “Be Careful” fashion pieces. 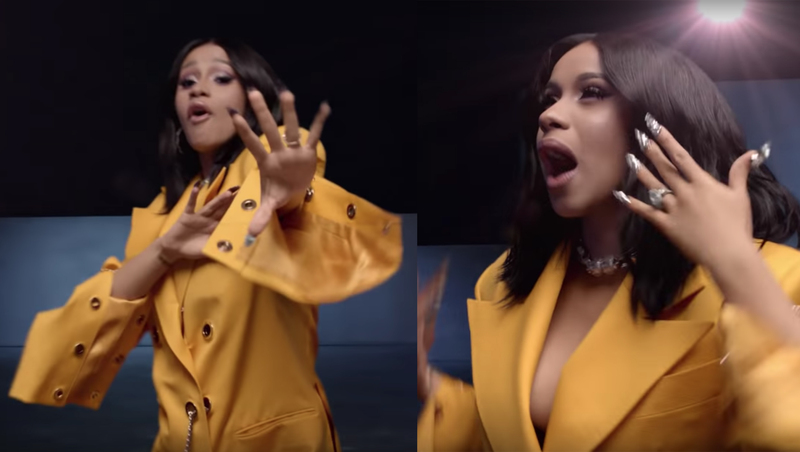 Tbh, what really stole the show in Maroon 5’s vid was Cardi B’s verses, complemented by the mustard yellow power suit she spit her lines in. Those grommets? So cool. The sleeves? Classic. The padded shoulders? Iconic. The dramatic collar? Perfect. Watch the “Girls Like You” music video and get a proper look at this lewk. 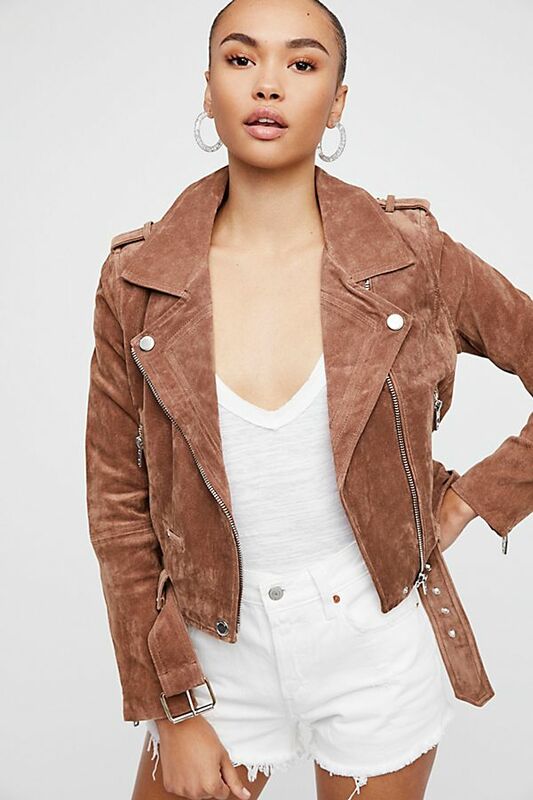 If this stunner of a look has you drooling like it has us drooling, then you’ll be pleased to see that we’ve rounded up 11 similar jackets that will give you this Cardi B vibe. This mustard colored number is more subdued in shape, but that color will have you walking on sunshine. 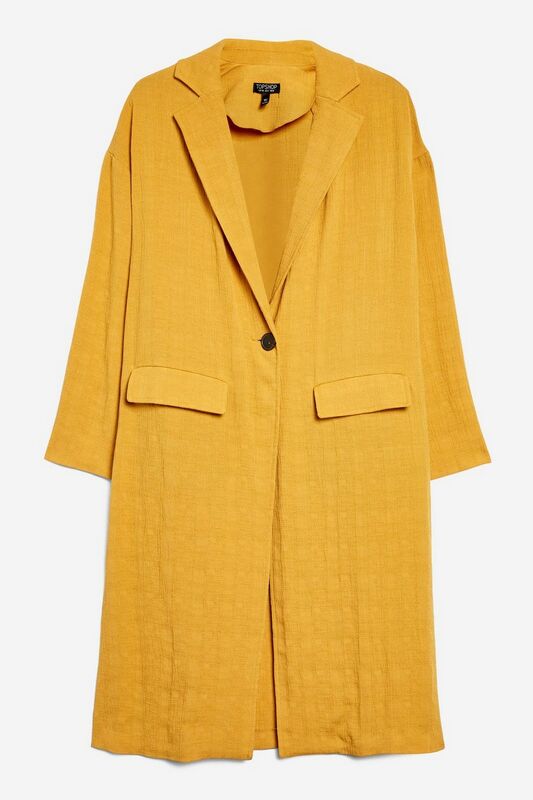 This trench features the same dramatic collar size as Cardi’s and it’s ah-mazing. 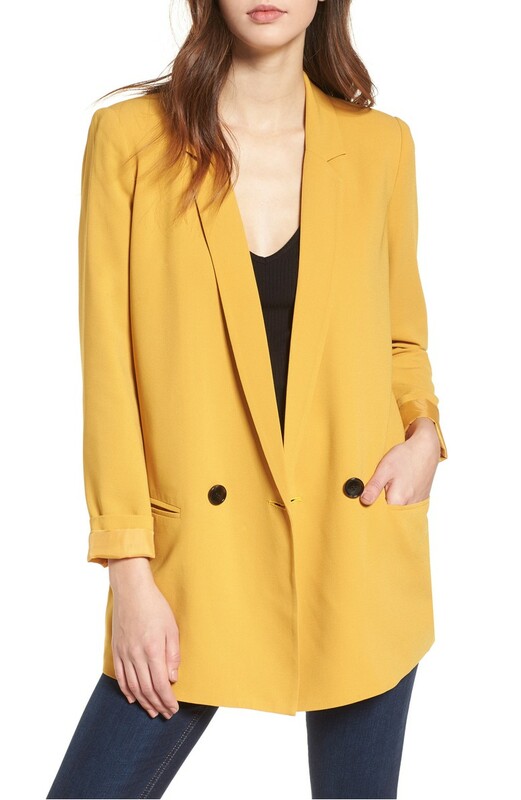 Strut your stuff in this macaroni-and-cheese colored double-breasted blazer. 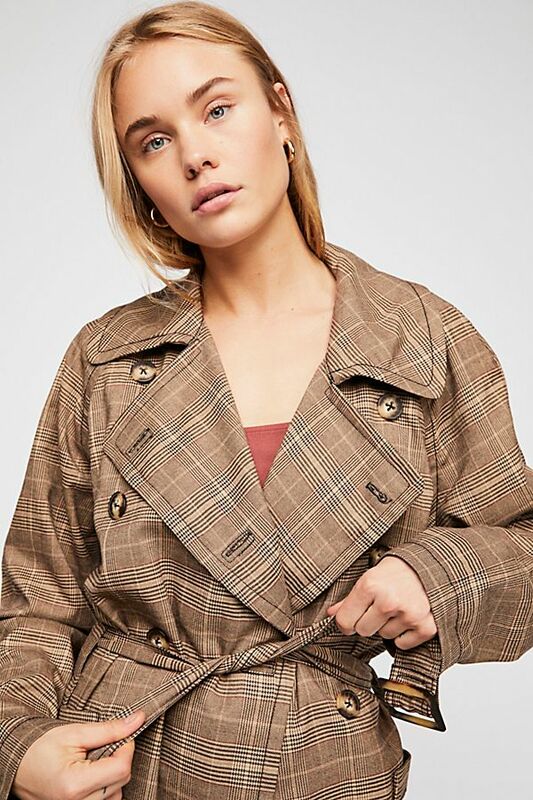 The length of this trench is perfect, and so is the vibe. 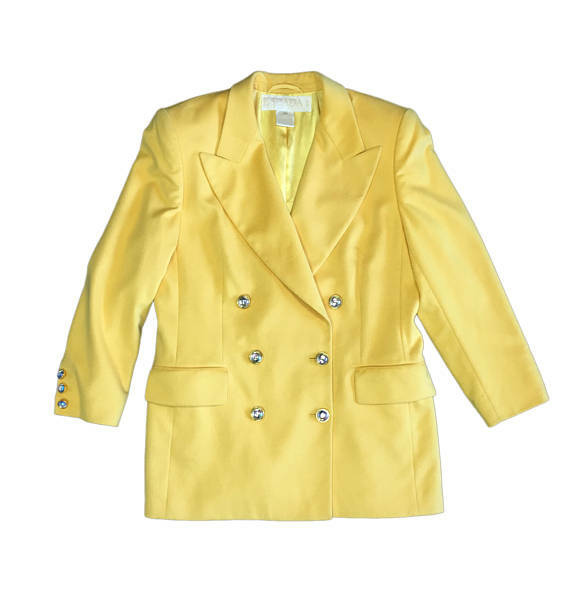 This blazer features some bling, just like Cardi’s. 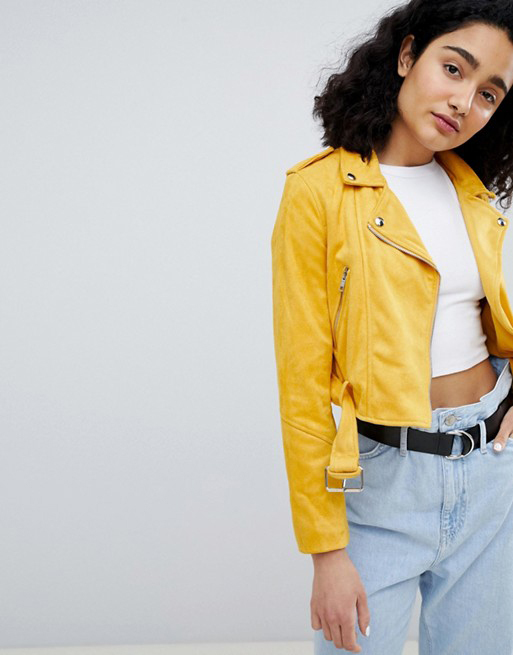 Channel the sunshine color with a more casual jacket. A closet classic with a fun color update. Yellow with a twist. 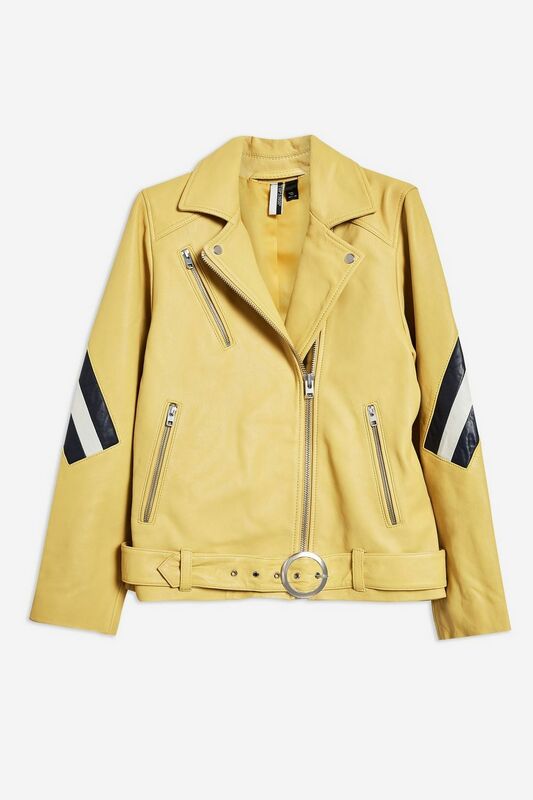 This striped yellow leather jacket is the definition of cool. We know Cardi loves herself some Fashion Nova! The collar and silver details on this moto jacket share some of the best similarities with Cardi’s ensemble. Throw this on and rev it up like a Harley. 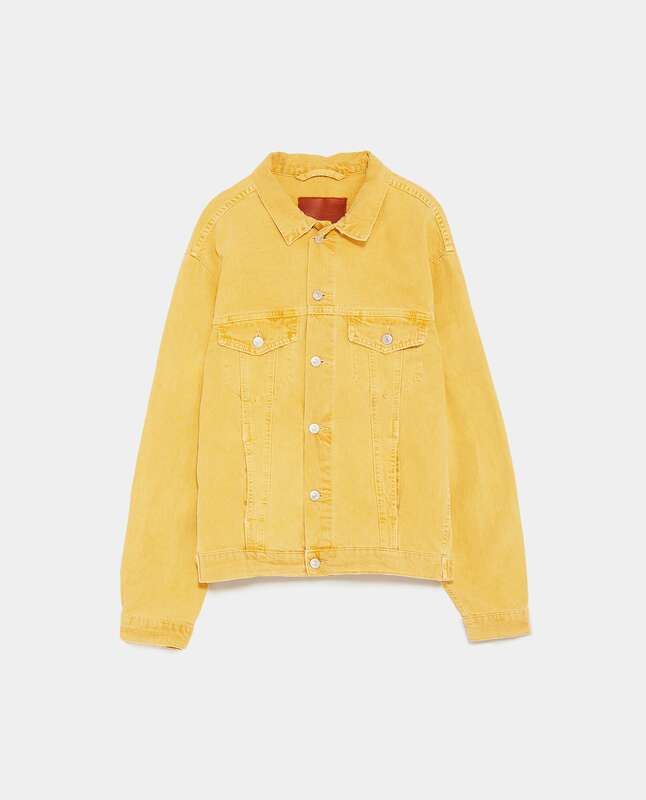 As Cardi raps, “the best fruit always forbidden,” but stunning yellow structured jackets are aplenty. Go get one, girl.